In keeping with the motto “In Pole Position with KHS”, the company will be presented at the 2012 Brau Beviale as a technology and service leader in filling and packaging technology for the beverage industry. KHS, an internationally active turnkey supplier, is focusing this year on new developments in the field of filling and labeling technology as well as the extensive service offered for all its products. With its new Innofill Glass Micro filler, KHS contributes towards meeting the ever increasing demand worldwide for low and medium-capacity fillers. 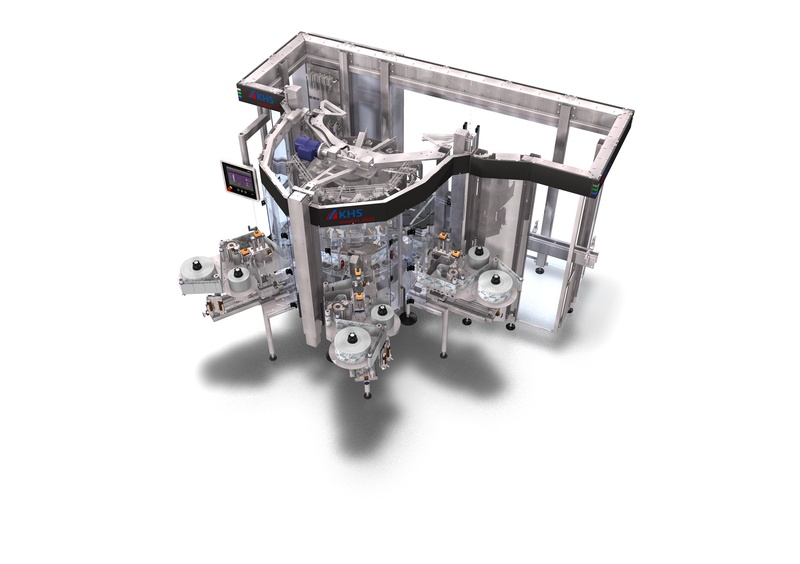 This filler series, designed to operate at capacities ranging from 6,000 to 25,000 0.1-liter to 3-liter glass bottles per hour, is initially intended for customers in the brewing and soft drink sectors. The next step is to also offer the Innofill Glass Micro with a filling system tailored to the requirements of the wine and sparkling wine sectors. As one of the technology leaders in the field of filling equipment, KHS incorporates numerous components into its Innofill Glass Micro that have been tried and tested in the high performance range. This includes components such as the filling valves, lifting elements, capping elements, closure sorting, and rinsing stations. The Innofill Glass Micro additionally profits from special KHS technologies which include particularly low oxygen pickup beer filling coupled with exceptionally low CO2 consumption for example. Outstanding filling results are just as much a given as the long service life of the implemented components. The Innofill Glass Micro on display at Brau Beviale operates with the DPG-ZMS single-chamber filling system. The product, gas, and CIP media are fed to the system through aseptic seals, membranes, and expansion joints that prevent the formation of any deposits and biofilm. Designed as a computer-controlled, pneumatic filling system, the filling parameters specified for the respective filling process are stored in product type memory for easy activation, saving, and retrieval at the operator panel. Neither external controls nor cams are necessary for controlling the filling valves. Best possible hygienic conditions and easy access are provided for sanitizing and disinfection procedures. An especially advantageous feature for the Micro filler is the newly developed KHS double-valve control system that groups two filling valves into one processing unit. This system eliminates the need for every other gas cylinder with all of its actuators and connections within the system. The double-valve control system uses one solenoid valve to control the product valve cylinders of two filling stations. This results in a fifty-percent reduction in the number of electro-pneumatic control units and the related significantly decreased complexity in addition to less spare part stock keeping and lower maintenance costs. Another benefit of the Innofill Glass Micro: it is equipped with a compact valve manifold with a footprint that is fifty-percent smaller than that of classic valve manifolds. Flexibility, quality, reliability, ease of operation, and space-saving design – all these advantages can also be found in the new modular design-based labeling technology platform. Various labeling methods can be combined in one machine and oriented exactly to meet the requirements of the particular bottling operation. Whether cold glue, self-adhesive, hot melt, or roll-fed labeling – all are doable. “Assemble to Order” is the motto here which stands for particularly fast delivery of machines customized to customer requirements. Platform system capacities range from 10,000 to 72,000 containers per hour. The system is able to process both glass and plastic containers as well as cans. A carousel and a front table comprise the base machine of the new labeling technology platform. By eliminating the wide table design used in the past outstanding access is provided to the machine on the one hand and particularly easy and fast cleaning of labeling equipment is possible on the other. All stations in the modular platform except self-adhesive labeling stations are mounted on a standardized base on the carousel. This base can be optionally equipped with a motor-driven height adjustment for even greater flexibility. The modular labeling technology platform offers various options for controlling container plates including belt drives in addition to mechanically controlled cam rotation and VarioDrives with high-precision bottle alignment. Quick-change devices are used to rapidly change format parts in the labeling machine.